At the ETA we offer a wide range of exciting and challenging roles. We pride ourselves on nurturing talent and unlike most companies, we recruit management positions from within with half of our management board beginning as recruits at the induction level. To enable us to achieve this, we have an extensive training programme that can include: courses for professional qualifications, management training, specialist training and in-house courses specifically for our own business needs. A job at the ETA could see you being part of a management team, with a broad skill base, in a short space of time. As Britain’s #1 Ethical Insurance Company, we practice what we preach and try hard to ensure our work environment is friendly, fun and rewarding for everyone. Our office is located in the heart of Weybridge amongst the hustle and bustle of the High Street and close to local transport networks. We offer many staff benefits including a cycle-to-work scheme, car parking, flexible working hours, volunteering days, free professional training, 25 days annual leave, team building opportunities and medical/dental healthcare. We do not have any vacancies at the moment but would if you would like us to keep a copy of your CV we would be happy to consider you for any future roles. 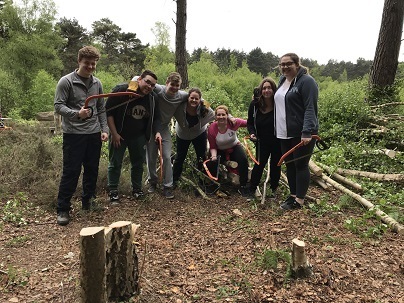 Some of our ETA head office team on a recent volunteering day at Esher Common, Surrey. Daniel grew up in Surrey and has been working at the ETA for five years. One of the key members of the Customer Care team, Daniel’s favourite part of his job is interacting with our customers on a daily basis and providing assistance and guidance when needed. He enjoys working at the ETA because of the great rapport he has with his colleagues and the strong work ethic of the company. A man of many talents, Daniel studied Photography and Design at Guildford College and in between phone calls, is often called upon by the ETA marketing team to design adverts, flyers and posters! 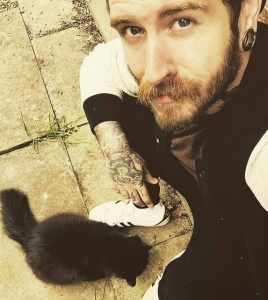 When not at work, Daniel can be found listening to Florence + The Machine and eating cheeseburgers!